Full Year Purchase- all three age levels included. Pay once and get everything you need for a full year of curriculum. 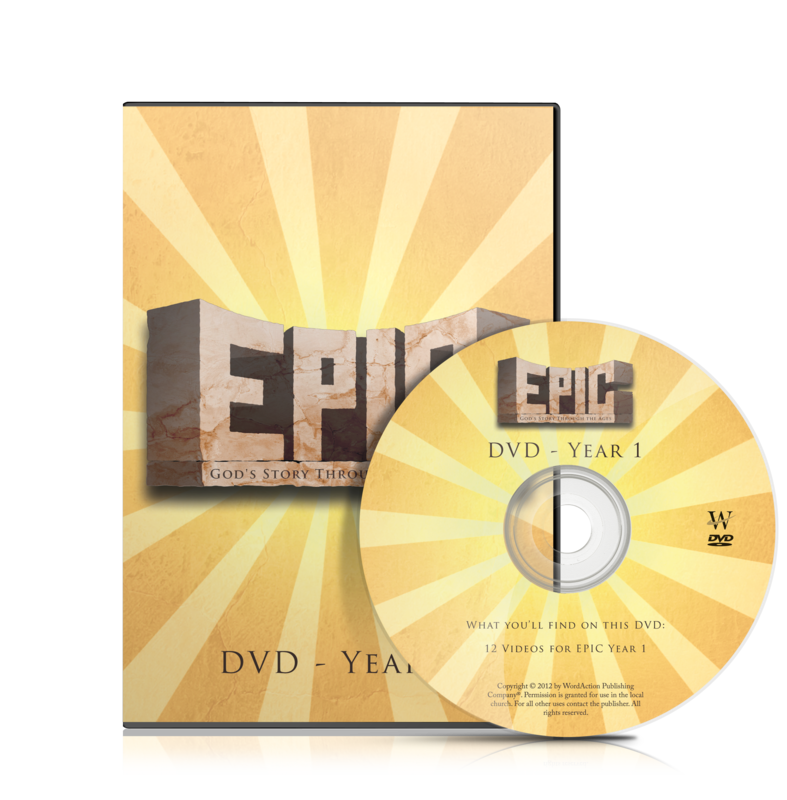 This DVD includes all 12 videos from Epic Year 1 for easier use in the classroom. Each video uses creative artwork to help bring each story to life. 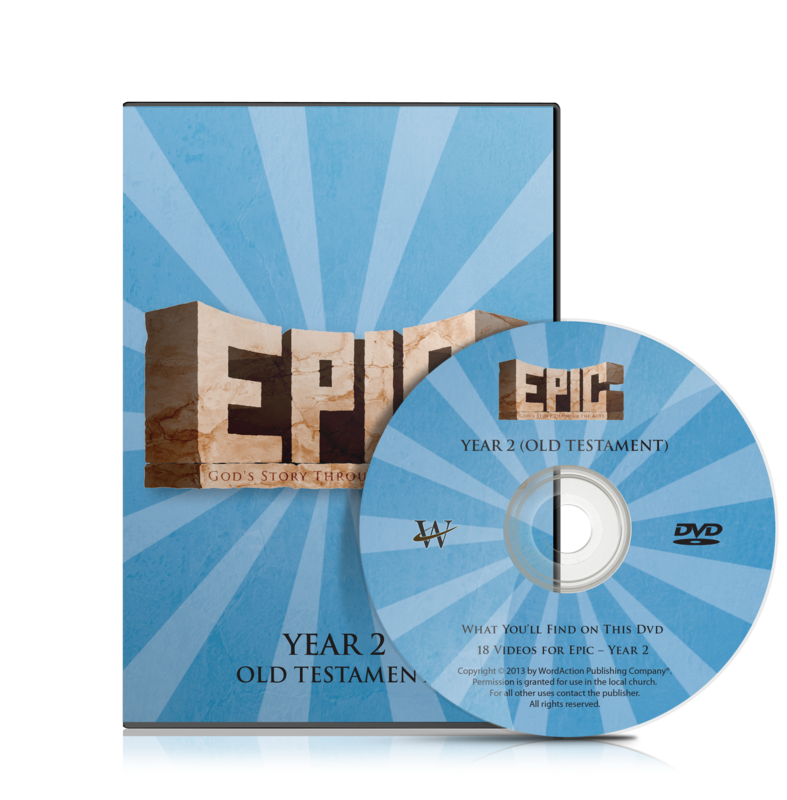 From creation to the kings, the Psalms to the prophets, these 18 videos from the Old Testament will bring each story to life for your students. 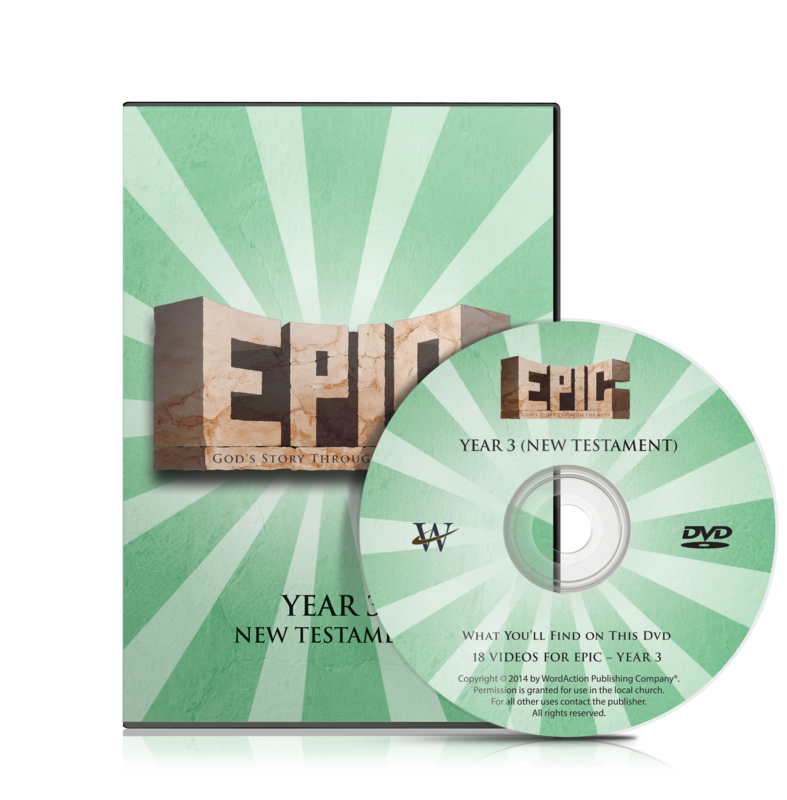 This DVD includes 18 videos using creative artwork to capture children’s imaginations and bring each of these New Testament stories to life.